The Bottle Kiln at Winchcombe, last fired in 1954, awaiting restoration. There has been a working pottery on the site at Winchcombe, Gloucestershire since the late 1700’s – barring closure during the 1st & 2nd World Wars. Emblematic of country potteries of the 18th & 19th century were bottle kilns; massive wood-fired or coal-fired kilns filled with everyday wares by a team of “repeat throwers” and taking two-three days to reach temperature. 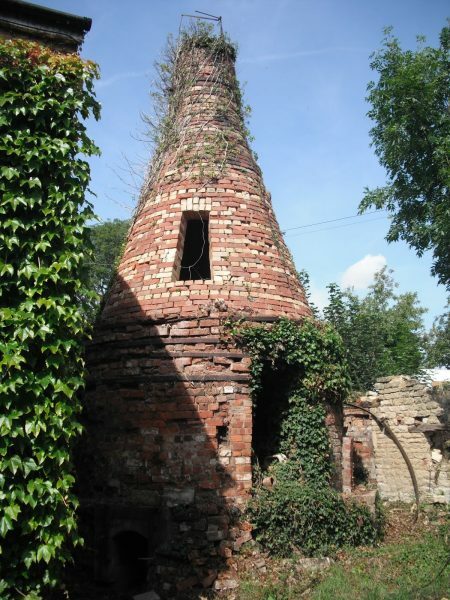 The Bottle Kiln at Winchcombe is in a sorry state – it stands sprouting vegetation and without the surrounding pottery sheds. Some would say it is madness to attempt resusitation but the kiln is part of a fantastic story that tracks change in the ceramic industry through this period to present day. Winchcombe has clay – lots of it – which is why the pottery started here. The first recorded pottery on the site, Greet Pottery, made chimney pots, plant pots, rhubarb forcers, tableware for local people. Michael Cardew – student of Bernard Leach – spotted the possibility of setting up his first workshop here after its closure was forced by the outbreak of the First World War . 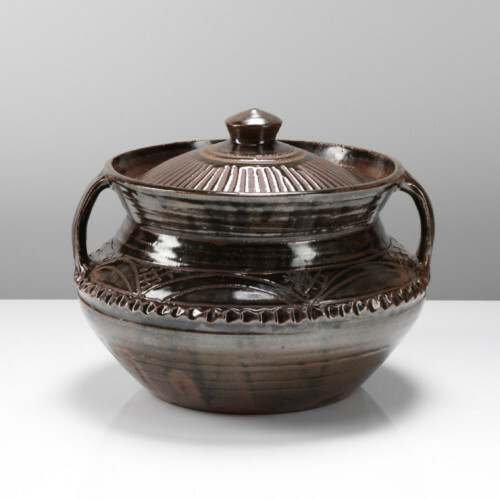 His era at Winchcombe began in 1926 and marked the shift from rustic traditions to studio pottery. Cardew recruited two locals; importantly, Elijah Comfort, aged 63 and who had worked before in the pottery and a little later the 13 yr old Sidney Tustin. 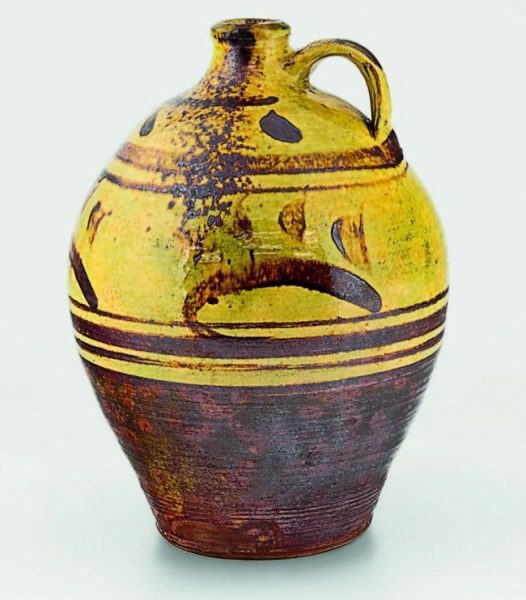 Cardew wanted to follow the old traditions of English Slip-decorated Earthenware and was successful in this, continued filling the enormous bottle kiln and expanding his workforce. The Second World War brought change; Cardew moved to Bodmin leaving the young chemist, Ray Finch to carry on the pottery, which was, again, forced to close during Second World War. Finch returned, bought the pottery and welcoming student potters – many of whom have become well-known in their own right – but the pottery struggled and the bottle kiln was fired for the last time (to date!) in 1954. 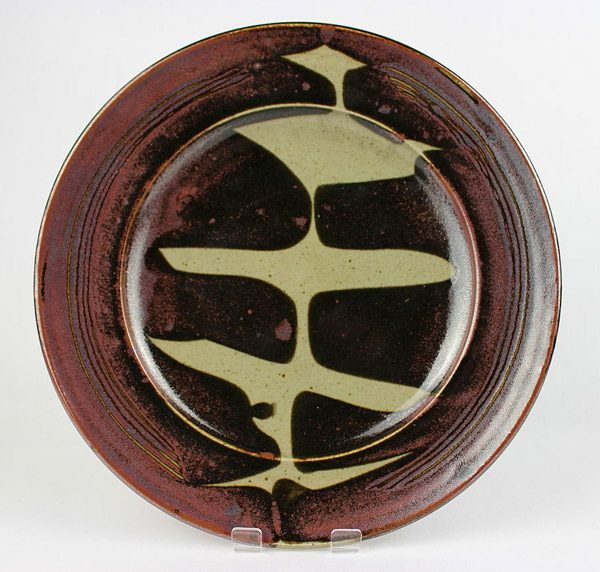 Ray Finch, influenced by the stoneware pottery of Shoji Hamada, began to equipping the pottery with kilns to fire stoneware alongside earthenware and this gradually became the mainstay of the pottery which flourished during the 1960’s and benefitted from a craft pottery revival with the interest in a “wholemeal” life. 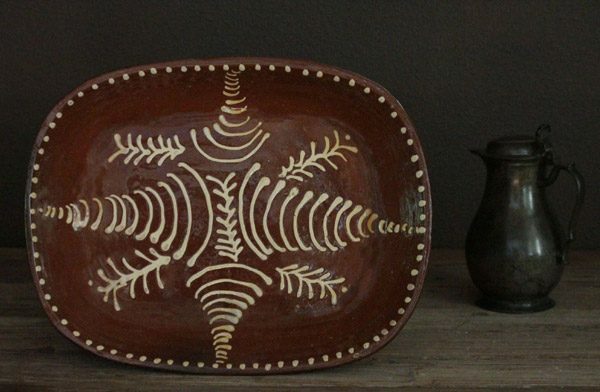 Ray’s sons, Mike and Joe, followed their father into the crafts – Mike with this own pottery in Wales and Joe continuing at Winchcombe until his retirement in 2016. Winchcombe Pottery is right now entering a new phase. Matt Grimmitt (a descendent of Elijah Comfort) took over the “wheels” from Mike Finch and, working together with John Forster and Joseph Fuller, there is a real sense of new life being brought to the historic pottery at a time when there is, as there was in the 1960-70’s, renewed interest in the crafts across the board and in pottery, especially. Winchcombe continues to make stoneware but has just produced the first slip-decorated earthenware pitchers and, who knows, could this be a return to Winchcombe roots in earthenware? Possibly even in a bottle kiln? If you would like to help Matt and his team restore the bottle kiln, you can donate to their restoration project here. 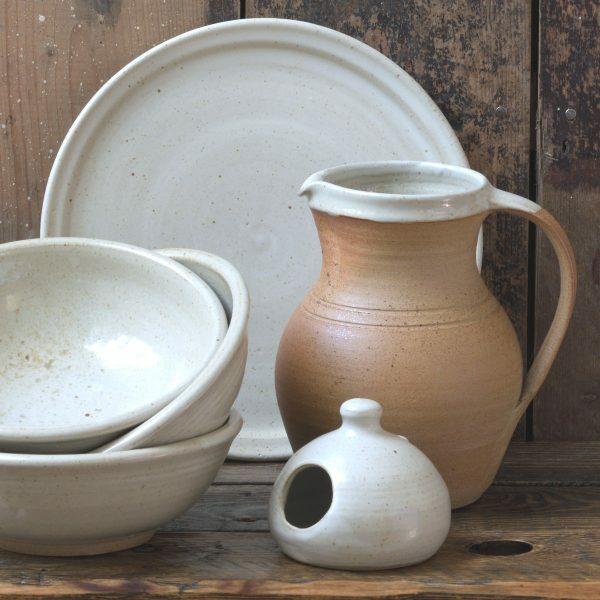 Having just received our first delivery of Winchcombe Tableware at Tinsmiths, we are delighted in the shapes, surfaces and feel of the ware which is robust, versatile, serene and undemanding on the eye – a real pleasure to use daily. We wish the new team at the pottery all the very best – we’ll be watching for how this incarnation of Winchcombe Pottery develops and visiting regularly.